For the past 6 weeks, Jared and I have been committing to making fresh pressed juice on Sunday afternoons. I have always wanted to start juicing but never took the leap of faith to actually do it. 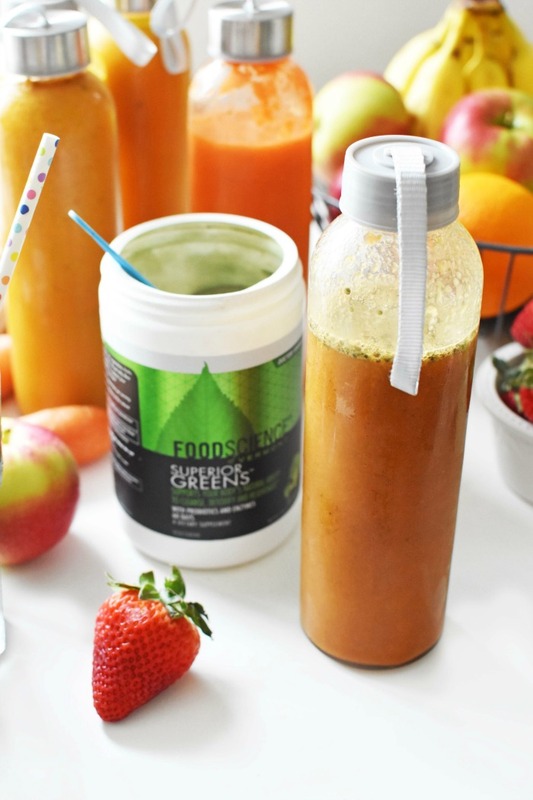 Making your own fresh pressed juice does require a 30-45-minute time commitment, but the benefits are amazing!! To start, we purchased a masticating juicer because these are the best variety to press fruits and veggies from carrots and apples to spinach. A masticating juicer helps to effortlessly squeeze out the extra juice and get all the yummy nutrients out into a liquid form. 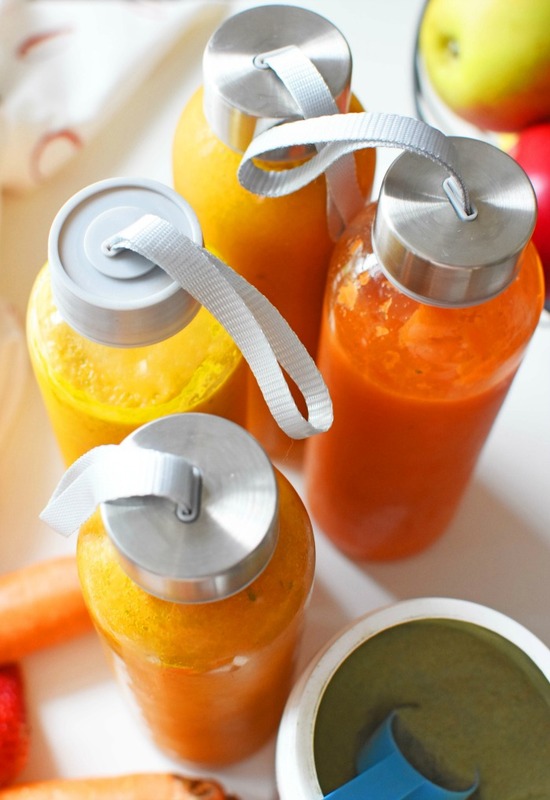 I found that for juicing, apples, and carrots provided some of the best flavors at the cheapest price point. Oranges and pineapple often go on sale as well as organic spinach. I obviously want our juice to taste delicious and have the best nutrition for our buck. I love adding greens in my juice, but they can get super expensive. Thankfully, there is a product that can add LOTS of nutrients to juice without a HUGE price tag! 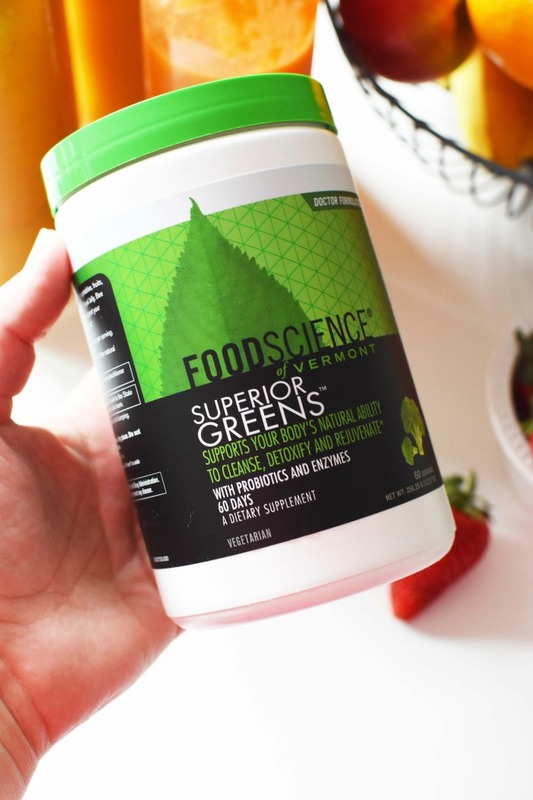 The product is Superior Greens™ by FoodScience of Vermont. This product is available on both Amazon and in-store at Rite Aid and contains 60 servings. 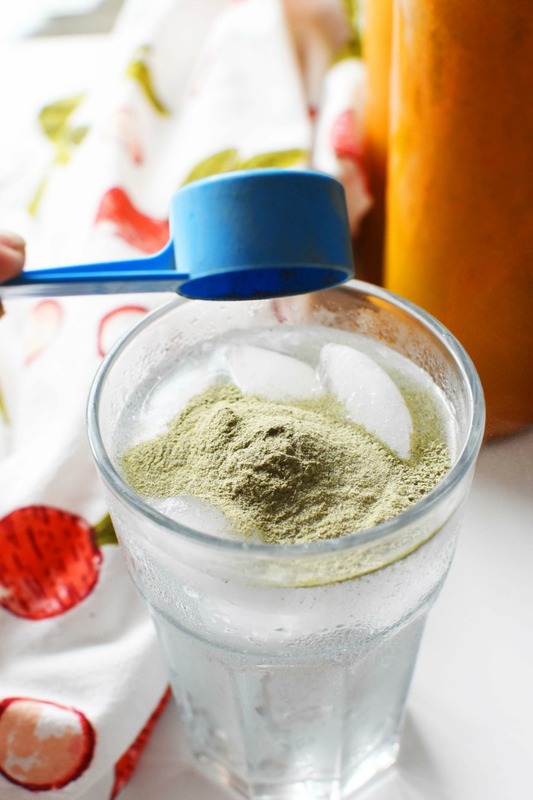 Each serving is one half of a scoop and can easily mix into water, juice, & smoothies. This great tasting powder is loaded with phytonutrients, stabilized probiotics, and many other beneficial natural ingredients. It does not have a harsh “inky” taste like some greens and tastes very mild like berries. I added it to my carrot apple citrus juice blend and it was amazing!! 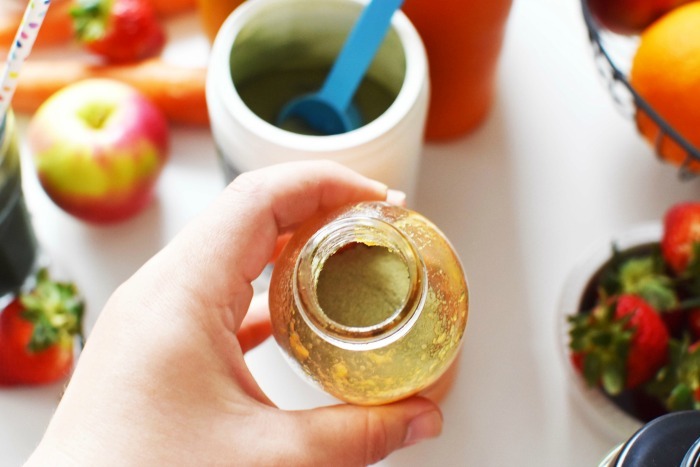 The coolest thing about Superior Powders are they are formulated by doctors and contain the perfect combo of fruits, veggies, and you guessed it—superfoods!! Each formulation will help you to achieve ultimate health and help you stay on top of your game. Just shake and go! Overall, Superior Greens has been making my fresh pressed juice much tastier, and healthier on a budget! Head to your local Rite Aid® or visit their official site to get your Superior Powders. Follow Vermont Food Science on Facebook, Twitter, Instagram, and Pinterest. 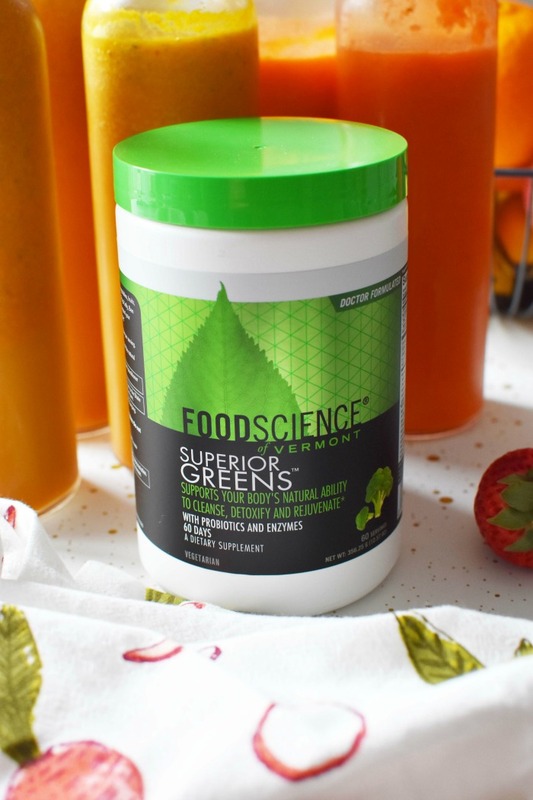 Want a chance to win 1/6 canisters of Superior Greens™ by FoodScience of Vermont? Comment below with how you would incorporate this into your day! Previous Post: « Mother’s Day Cakes & Inexpensive Ways to Treat Mom! Thanks for the tips on the fruits that are great and the ones that were not so great! I would have thought blueberries would have been good. I think this is a great idea. I need to get back in to making drinks like these again. I use to do so well with them too. Oooo I need to start making juicing a part of my daily routine. I bet it makes you feel better throughout the day! I can’t wait to try that! I’ve been wanting to make more juices at home! Fresh juice is the best thing ever. Having a great juicer is a game changer. I love fresh pressed juice but not a huge fan of greens. I want to give this a try! Perfect for lunch! This is such a great idea. 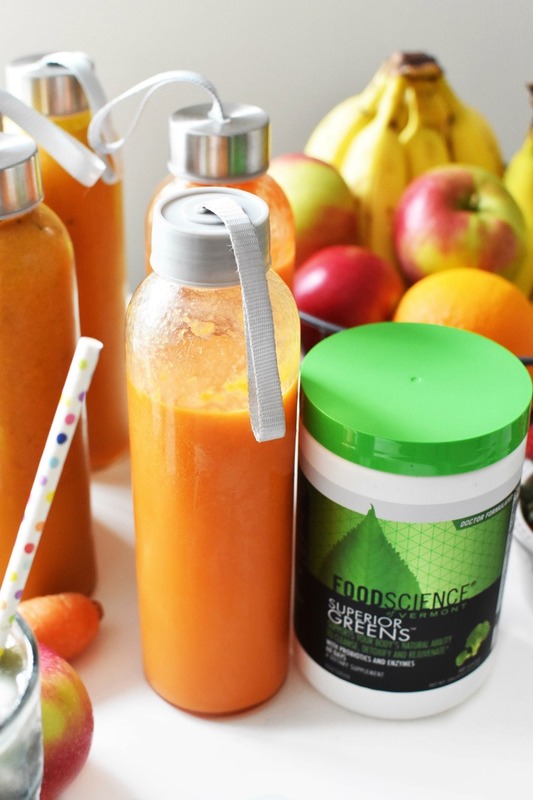 Our whole family loves drinking healthy juices and this is a great way to save a lot of money in the process. I would love to start juicing! These are great tips! Juicing is something I’ve always wanted to try because of all the health benefits. 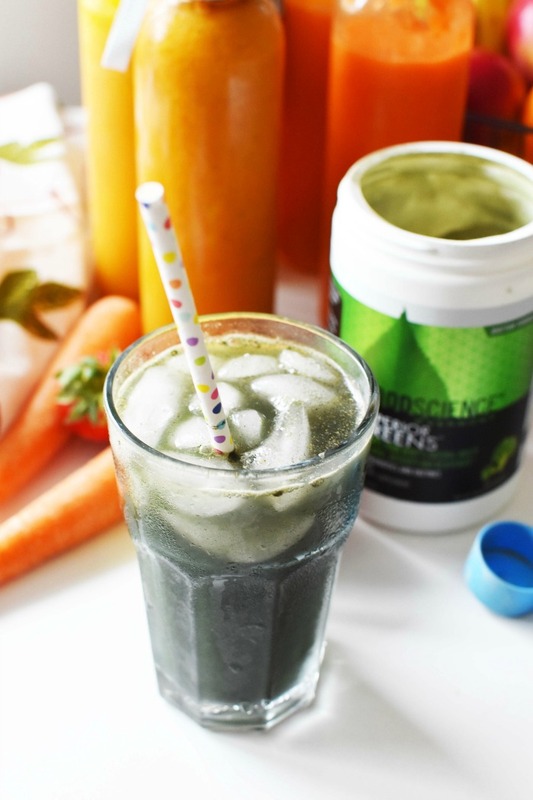 What a great idea to level up the healthy factor with a supplement like Superior Greens! I love to juice. The other day I was preparing juices and I end up prebuying them already made. Naked has the big ones for like $7. Not as healthy but definitely a time saver. I need to find these greens to give them a try. We love juice like this! I wish I had the time to make these myself. Fortunately our Sam’s Club started selling fresh pressed while you wait! Oh this sounds awesome! 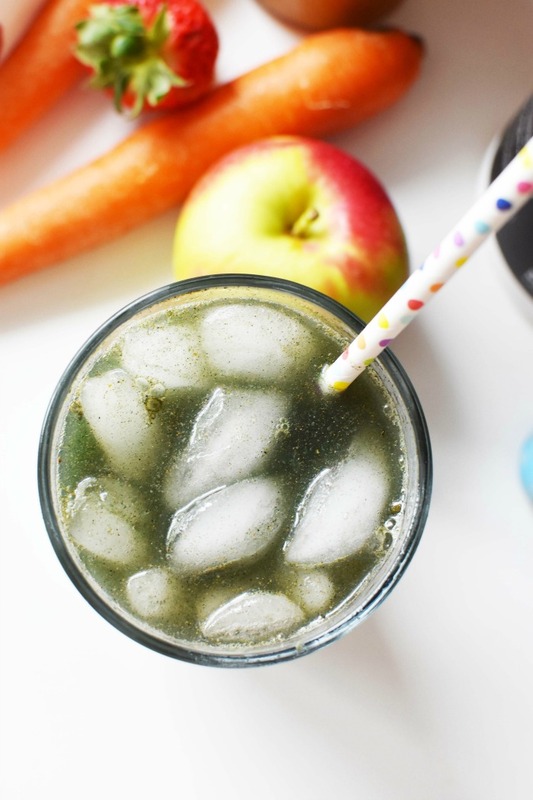 I love juicing, I’d love to give these greens a try.